trường hợp của bạn là bạn chỉ cắm đường quạt trên cổng điện quạt cho cpu còn 1 đường nguồn quạt cho chipset bạn để trống nên nó báo vậy , bạn vào bios disable cái quạt system đi là oke . Problem “Chassis Intruded ! Fatal Error ….. System Halted.” Note : Mother Board most be out of electricity in all of these steps. Check if your PC Chassis is closed “A sensor on the chassis most be pushed when closing the cover”. 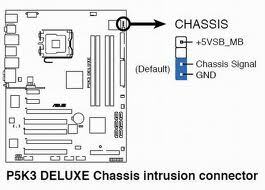 If the problem persist check the Chassis intrusion Jumper on your Mother Board “See the manual user for your Mother Board before removing or changing the place of any Jumper” a jumper most be placed on the in Pin-1 and Pin-2 this is the right jumper position to deactivate the chassis intrusion option after that you should remove the CMOS battery and Clear the CMOS settings by placing the CRLTC jumper on pin 2 and pin 3 for almost 10 Seconds then place it again between Pin 1 and Pin 2 after that put the CMOS battery then start your pc and check if the problem persist again. If non of that work and still have the same problem so this is the final solution. 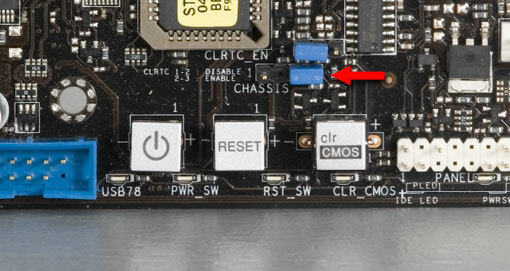 People who want do it should have some electronic repair knowledge on remmoving dead Micro Chips. +Default : chân 3 và 4 nối nhau bởi 1 jumper, tức không sử dụng tính năng Chasis Alarm. 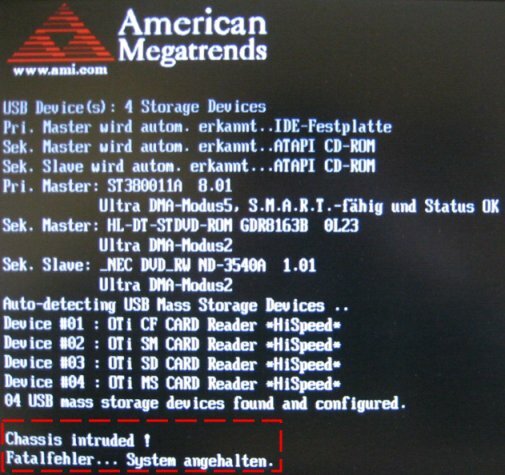 Lúc này máy sẽ không bị tình trạng báo lỗi Chassis fault.